You are hunting for the hidden treasure. On the coordinate grid below, X marks the spot for the location of the treasure. Find the distance between your location and the location of the treasure. Learning Objective: The lesson is aligned to the Common Core State Standards for Mathematics – 8.G.8 Geometry – Apply the Pythagorean Theorem to find the distance between two points in a coordinate system. 1. Your location is (6, 9). 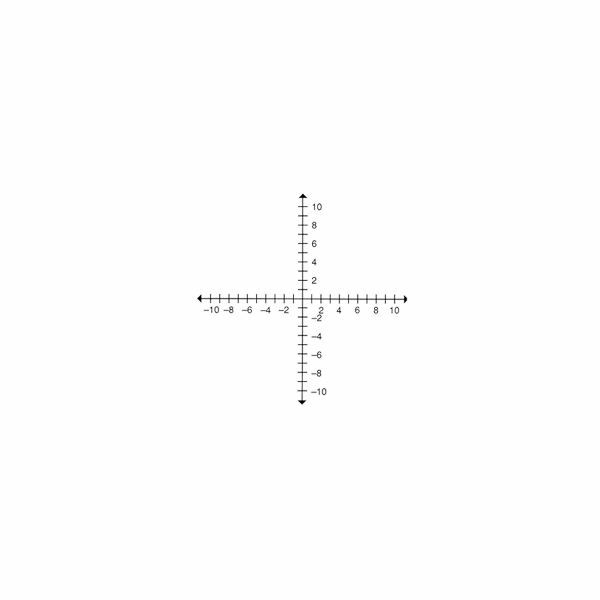 Plot the location on the coordinate grid below. Label the point, P.
2. The location of the treasure is (3, 5). Plot the location on the coordinate grid. Label the point, X. 3. Draw a right triangle using these points as two of the corners of the right triangle. 4. Label the horizontal line segment, a. Label the vertical line segment, b. 7. Use the Pythagorean Theorem, a2 + b2 = c2, to find the length of side c of the right triangle. The length of side c is the distance between your location and the location of the treasure. Calculate the length to the nearest tenth. Provide the following worksheet to your students that sends them on a treasure hunt. Students will determine which treasure hunter is closest to the treasure by using the Distance Formula, d = √((x2 – x1) + (y2 – y1) ) and the Pythagorean Theorem, a2 + b2 = c2.